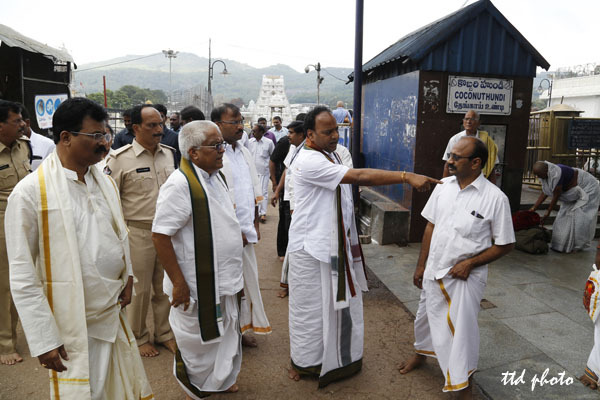 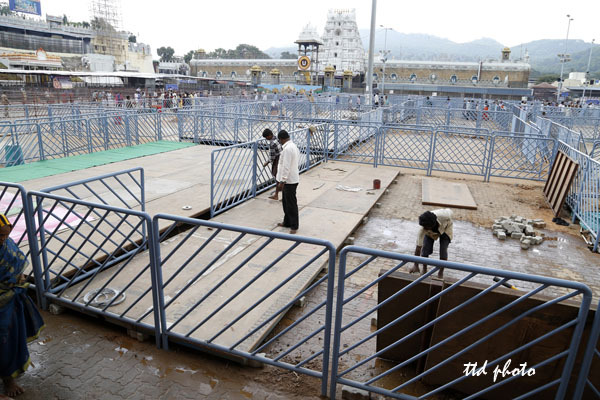 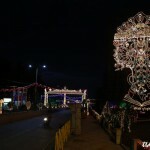 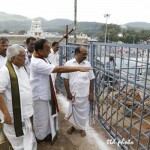 Tirumala, 23 September 2014: As the Annual Brahmotsavams of Lord Venkateswara in Tirumala is all set to commence from 26th of September, TTD Executive Officer Sri MG Gopal inspected the four mada streets in Tirumala on Tuesday along with Tirumala JEO Sri KS Sreenivasa Raju. 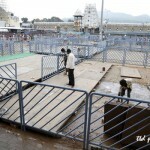 The inspection continued for about two hours braving heavy down pour covering the areas of Bedi Anjaneya Swamy, four mada streets, galleries etc. 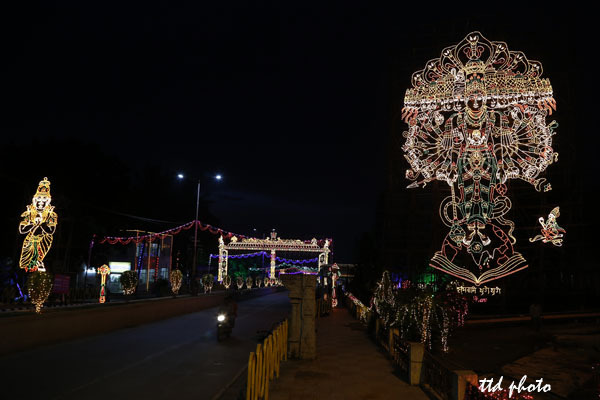 The EO instructed the officials concerned to see that there will not be any tussle among the pilgrims while catching the glimpse of Lord on the procession of various vehicles ( Vahanams). 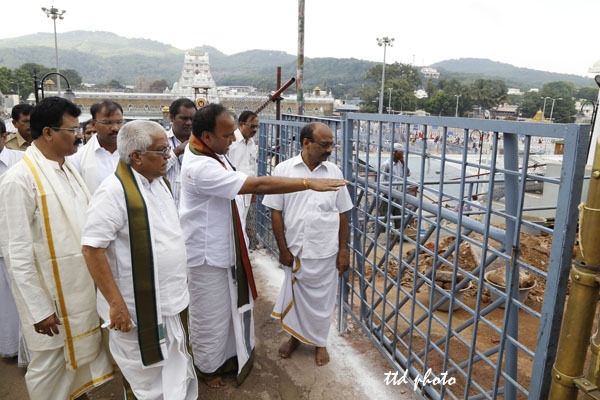 He inspected the arrangements of galleries with arranged wooden platforms at various heights to have a convenient view of Vahana sevas infront of TTD book stall beside Vahana Mandapam. 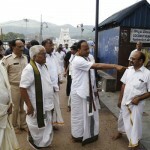 Tirupati Urban SP Sri Gopinath Jetti, Chittoor SP Sri G.Srinivas, SE Sri Ramesh Reddy, Addl CVSO Sri Sivakumar Reddy and others were also present.